Jean Kelly hails from an Irish family of several generations of professional musicians. 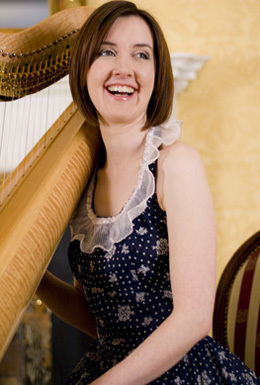 Jean has been based in London since 1996, when she won a scholarship to study concert harp at the Royal College of Music. A versatile and pioneering musician, Jean has an eclectic career spanning classical, contemporary and world music. Jean specializes in classical, folk, medieval and wire strung harps. She has played harp on several film scores including 'The Lord of the Rings' and 'We need to talk about Kevin', scored for solo harp by Jonny Greenwood of Radiohead. "The harp was as if an angel had descended and was touching the evening with her fingertips"